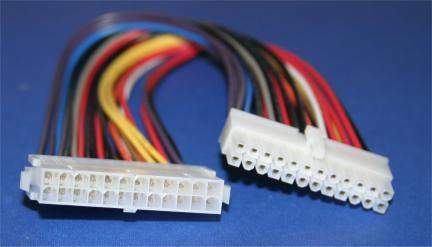 This power supply extension cable extends a 24 pin power supply cable to a 24 pin motherboard. Perfect for use in small, mid, or full-size towers. 24 pin male plug 24 pins female socket.